Honey and sugar sweeten these freshly roasted peanuts. 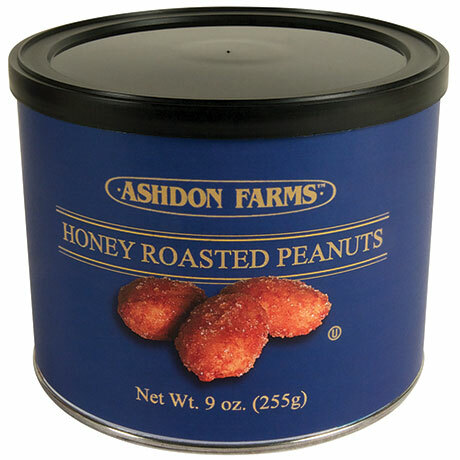 Pull-top can with resealable lid. 9 ounces. Peanuts, sugar, honey, peanut oil and/or soy oil, salt, xanthan gum.